I’m still not understanding why a clustering approach is preferred to a minimum variance approach that considers the entire co-variance matrix of each asset, optimizing allocations to minimize total risk. Or, perhaps another way, applying risk-parity to orthogonal risk factors based on principle component analysis on the assets. 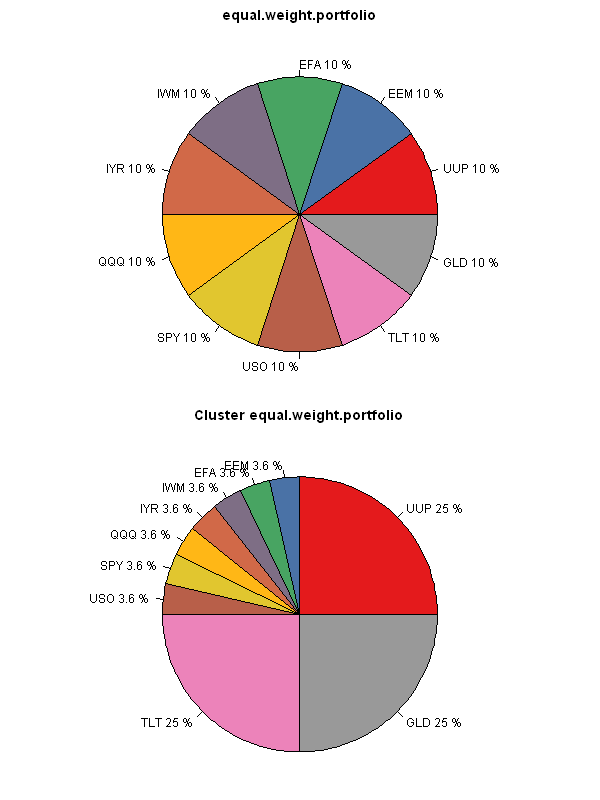 The main focus of clustering portfolio allocation is diversification. So if you want to get a portfolio with minimum variance, you should use minimum variance approach. The clustering portfolio allocation method will not produce the portfolio with minimum variance. On the other hand, if you want to create a portfolio that distributes risk equally within clusters and across clusters (i.e. 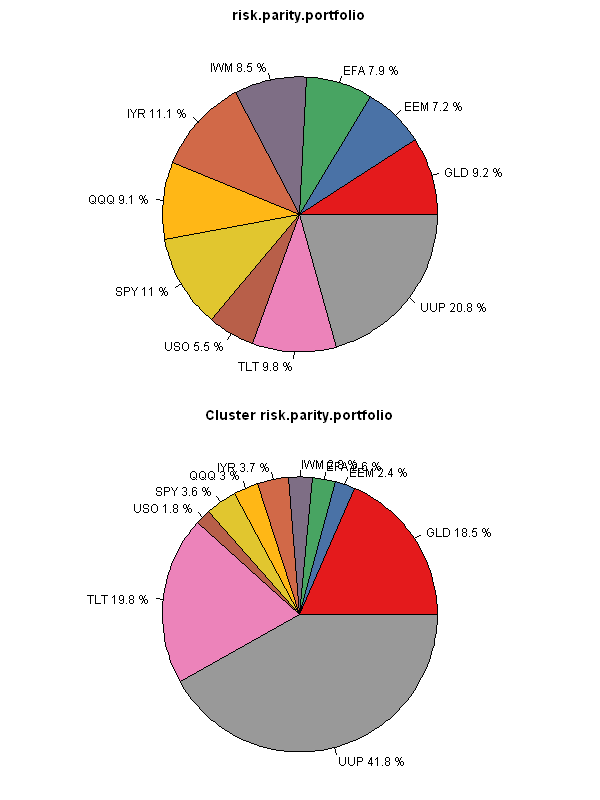 diversify you risk bets) than you should use clustering portfolio allocation method. One way to think about clustering portfolio allocation – is that one of the methods you can use to create portfolios. For example, if you want minimum risk, please use minimum variance approach. If you want to diversify risk allocations, please use clustering portfolio allocation method. Is it possible (and if so, do you think it would create any value) to create a framework where a minimum variance allocation is applied to clusters? In this use case, the primary objective is to diversify factor risks by clustering similar strategies together (hence reducing the potential for overweighting a to any subset of highly coorellated strategies). The secondary objective is to then achieve the lowest risk allocation combination to each “strategy cluster”. This could be done by treating each clustered sub portfolio as an asset and running the MVO to determine cluster weight. Consider a fund of funds or proprietary trading group with many individual traders. They may have many correlated strategies trading the same underlying index (or even equities in the same sector). You would not know the specific approach but could identify correlation. It may be desirable to first diversify factor risk by clustering the most correlated returns together. Next, the master account could properly allocate % of buying power to each “strategy cluster” (group of traders or family of funds) to achieve Min Variance. Lastly, target volatility could be used to set leverage targets at the master account level.